The actress was spotted with her on-and-off again boyfriend! 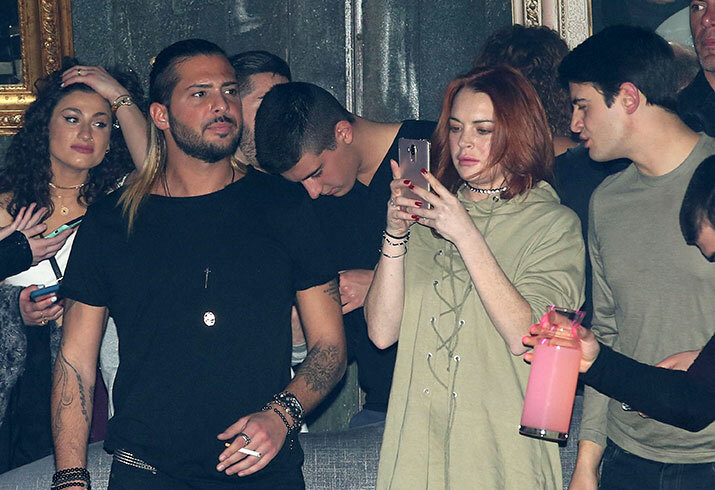 Lindsay Lohan was back to her old partying ways while out at the club she partially owns in Athens, Greece. The actress was at her namesake venue, Lohan, with friends and her on-again/off-again boyfriend Dennis Papageorgiou. The 30-year-old was snapped lighting up a cigarette and drinking throughout the night. In a bizarre twist of event, Lindsay met with the President of Turkey and sent her love and support to the refugees from Syria. “We want to send to all of the people in Syria and Aleppo suffering, and to all the refugees, we are here supporting you and you can hang on and be strong," she said. There are also rumors circulating that Lohan converted to Islam after she posted some Arabic on her social media. Do you think Lindsay is acting strangely?